How it began is worth a smile. But as the website recounts, and as the participants in the ENVEST Sri Lanka project say, what happened after that is worth much more. NIU Department of Kinesiology and Physical Education faculty Paul Wright, Steve Howell, Jenn Jacobs and Jim Ressler, accompanied by three graduate students and one undergraduate, primarily made the inaugural Engage Global trip to check on the progress of those Sri Lankans who visited the NIU campus this spring. A key part of that initial collaboration was the creation and development of action plans to implement the Teaching Personal and Social Responsibility (TPSR) model through sport; Wright and Co. wanted to see for themselves how those ideas were coming to life. “There are soft skills you can teach through sport, no matter what culture you come from, whether it’s the United States or internationally. Leadership. Organization. Following the rules. Being a good teammate. Staying positive,” Howell says. 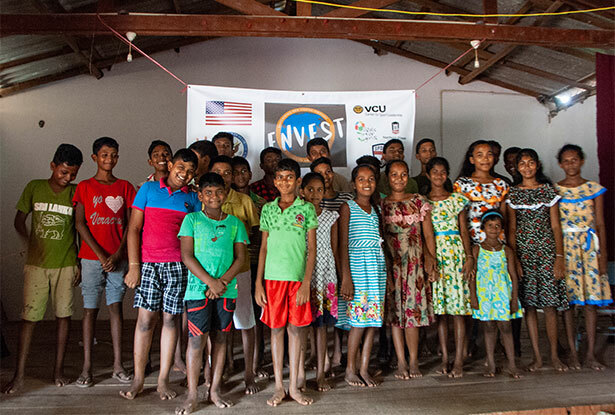 Other activities in Sri Lanka included an open-to-the public panel discussion and workshops on TPSR as well as research on the efficacy of the ENVEST project itself. 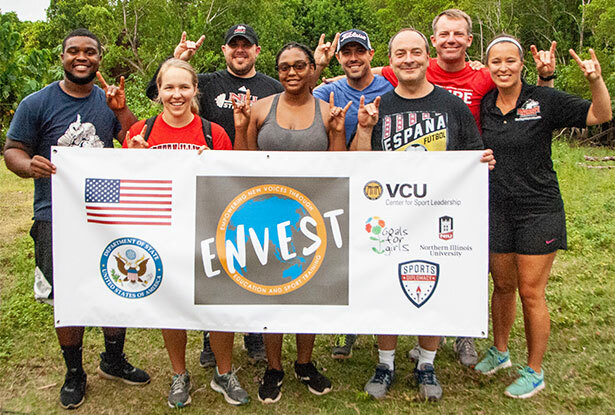 “We followed up with three of the four organizations that came over in April,” says Wright, NIU’s EC Lane and MN Zimmerman Endowed Professor in Kinesiology and Physical Education and a Presidential Engagement Professor. 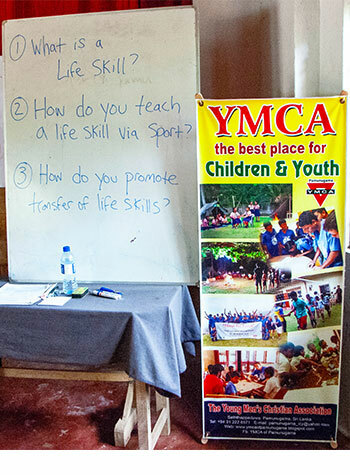 Programs represented included archery, handball and fencing – offered by various federations and YMCAs – that translated into more than 60 leaders and youth in the room. Reception proved positive from the guests, Wright says, mentioning one woman who is connected with one of the federations as well as a local police department. 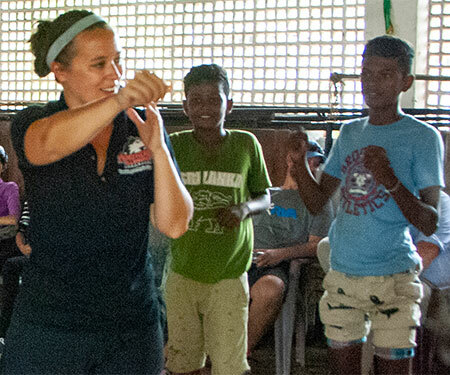 The trip also served as an educational experience for KNPE graduate students Karisa Fuerniss and Adam Zurbrugg (Sport Psychology) and Timothy Mack (Sport Management) as well as for Zakyrah Harris, an undergraduate Political Science major. “Broadly speaking, the cultural interaction was the biggest deal for them,” Jacobs says. Fuerniss, who is from Loveland, Colo., wanted to see what her profession looks like in a foreign country. 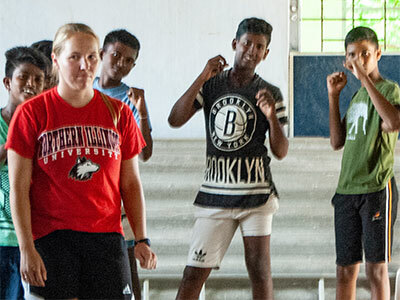 She became involved in the Sri Lanka project through her work with Jacobs to run an after-school boxing club for girls at Clinton Rosette Middle School – something the international visitors experienced in April – and was excited at the chance to travel abroad. The other, she says, was in helping to encourage local leaders to adopt and endorse TPSR. Powerful for Fuerniss were conversations with a YMCA director involved in boxing – “To see how people around the world are connected with similar interests and can be working for the same purpose? I think that’s really cool,” she says – as well as a greater cultural awareness. The latter is something future teachers from the college’s Educate Global program also mention frequently upon their return – and teaching is a career Fuerniss might pursue at the college level. But her favorite memories lie in “strengthening the relationship” with her professors.